Over 900 clinical faculty are involved in the medical education and training of IMP students. These medical educators are located throughout Vancouver Island, from Victoria to Port Hardy, and they practice in a variety of medical settings, from large hospitals to community clinics. Clinical faculty are teachers, both physicians and health professionals, who educate IMP students and inspire them to stay and practice in BC. If you love to teach, consider becoming a clinical faculty member. We have teaching opportunities in all years of the program, from case-based learning (CBL) tutors to clinical practice preceptorships and more. 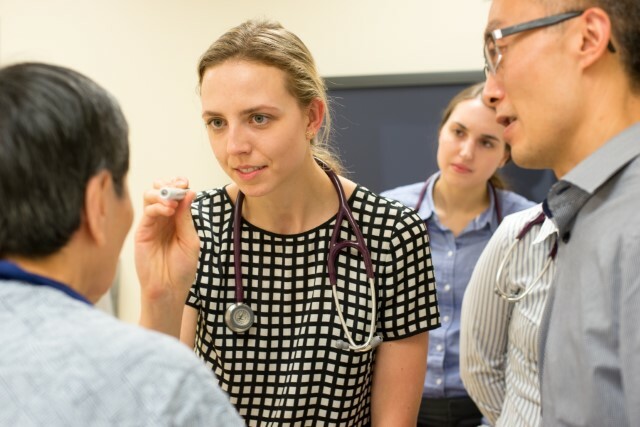 As a medical educator with UBC, you have access to workshops designed to help you lead and inspire the next generation of doctors. These workshops focus on leadership, clinical reasoning skills, communication, and more.